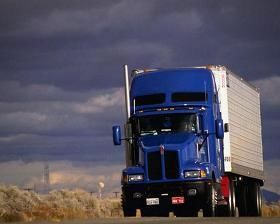 Online CDL training program has a problem? Yes, it is very tricky and with that it will make me pay more attention to what exactly I am reading. I am so glad I do have this tool to use, I wasn't able to learn by reading, my retention on words was horrible, but using this program is the best thing for me to study because I can actually remember everything I need to know because you just not reading you interacting and if you mess up on one section, you will know where to study more, instead of reading and reading. So thanks! my eyes just didn't pick up on the except, sorry, my mistake. Thanks cooljoe for the help, you have gave me hope for getting into trucking. So far the only things I have left is getting my birth certificate and figuring out what to do about my mental status with my recruiter. You all have gave me hope and the courage to keep pushing forward no matter what is in my way. Hopefully I will get into to trucking soon and I will let everyone know when, that way you know that all you hard work has paid off, thanks again. This has given me hope and knowledge enough to understand and evaluate my situation and how to go about everything. All the information has been helpful. And Cool Joe it is MTC Truck driving training services. That is a good point, and I am pretty sure that I can handle the stress when it comes around to it. I have been working on controlling it when I do have stress and have managed to handle a good amount of stress. My mother is actually living with me at the moment and it has helped me learn to manage stress caused by people, (lol), and the stress on the road, like other drivers, I have no problem with, even during a episode. Driving calms my nerves and actually helps me a lot with my schizophrenia, but only time will tell when I actually get into the career field. All I can do is go as prepared as I can be.